Arnott has introduced new aftermarket replacement air springs for the 2013-‘18 Range Rover and 2014-‘18 Range Rover Sport. Arnott’s new rear air springs A-3025 for the 2013-‘18 Range Rover L405 chassis and A-3027 for the 2014-‘18 Range Rover Sport L494 chassis feature an OE-quality air sleeve, heavy-duty crimping rings and high-impact plastic resin top and bottom pistons. 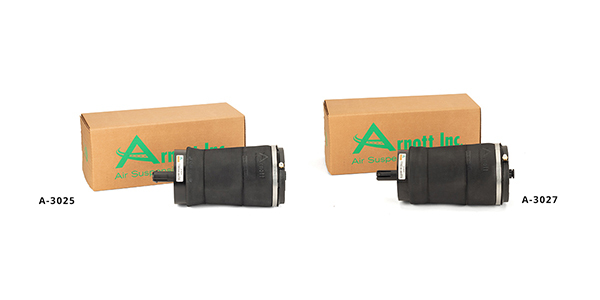 The Arnott replacement air springs are designed, assembled and tested in the U.S.